Would A Pill To Protect Teens From HIV Make Them Feel Invincible? : Shots - Health News Trials are underway to see how effective a pill approved for HIV prevention in adults may be for teenagers. But some worry Truvada could end up encouraging reckless sexual behavior among young people. Truvada can dramatically reduce the risk of HIV infection when taken as a preventative medicine — if taken every day. Studies are underway to determine if young people are likely to take the pill consistently. Leon Richardson is 18 years old and tall, charismatic and thoughtful about his sexual health. He understands that as a young, gay black man, he is in the demographic with the highest rate of HIV infections in the country. But when Richardson learned that he could be part of an HIV prevention pill research study for young people, he was skeptical. "I was scared. I had to really think about it, 'What is this drug going to do to me?' " he says. The regimen, called pre-exposure prophylaxis, or PrEP, can reduce the risk of HIV infection by more than 85 percent when a pill called Truvada is taken daily. In a first, the Food and Drug Administration approved Truvada for prevention of the infection in 2012. 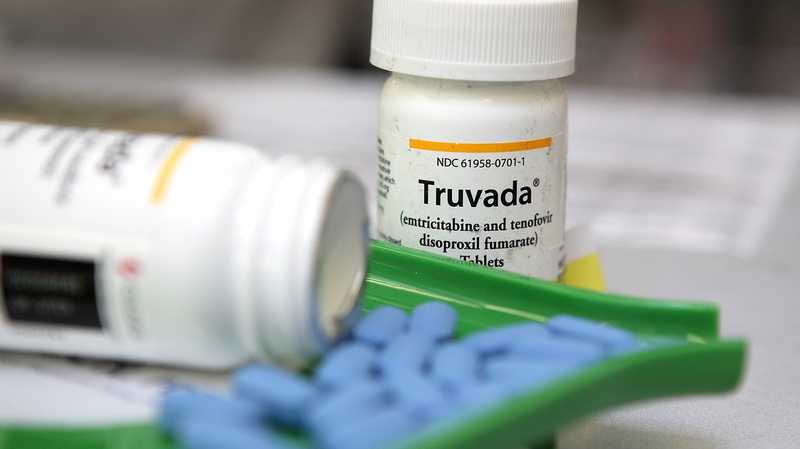 Truvada had been used previously to treat HIV infection. But the Centers for Disease Control and Prevention recommends caution when prescribing PrEP to adolescents. CDC is waiting for final results from the trials being conducted on young people in cities across the country. Initially, Richardson's mom stoked his concerns. "She was saying the medical industry tried to sterilize some people; they were trying to do it again," he remembers. But he found encouragement from another family member: his grandfather, who is HIV-positive. "We had a long discussion about this drug and what the side effects could be, and he overall supported me totally," Richardson says. "And it was kinda like, why not? Let me just try it." Now, Richardson is part of CRUSH, an HIV-prevention project in Oakland, Calif. CRUSH offers PrEP to participants. Daniel Zeh is part of a PrEP study being conducted by the Adolescent Trials Network with young people between the ages of 15 and 22, based at John H. Stroger Jr. Hospital in Chicago. He was 17 when he started taking the pill as part of a daily regimen that was sometimes hard to explain, he says. "I guess it was kind of weird during high school, popping it before lunch, trying to make sure nobody sees," Zeh chuckles. "People are like, 'What are you taking?' 'Nothing, you know, just a sugar pill.' "
Zeh first heard about the Stroger Hospital study on Facebook. Outreach coordinators also turned to gay hook-up apps, like Grindr and Jack'd, to recruit possible subjects. It's a clever strategy, even if it's awkward to run into a researcher when you're looking for a date. Psychologist Sybil Hosek, the lead researcher for the study, funded by the National Institutes of Health, offered to pay participants $50 per visit to the clinic. When enough guys said yes, she got to work. "What we wanted to do was design a study where they could try to take this pill every day," Hosek explains. "And see whether, one, they were interested in taking it; two, if it was hard for them to take it; and three, how it impacted their sexual behavior." For instance, would being on the pill encourage more risky sexual activity? Inside a conference room at the hospital, a group of the guys in the study share stories about what it's like to be on PrEP. Dexter Canty is also enrolled in the Chicago PrEP study, and says people have a lot of misunderstandings about the pill and individuals who take it. They're often asked, "Are you HIV positive?" But, in fact, they're taking the drug to prevent getting infected. Canty compares the reactions he's experienced to people's perceptions when he goes to the drugstore to buy condoms or when a woman goes to Planned Parenthood and gets birth control. "You're automatically looked at as being promiscuous instead of safe," he says. The idea is that PrEP would be used in combination with condoms. But critics worry that the pill will make users feel invincible, increasing the likelihood that they won't use condoms or follow through on taking the pill every day. And when you miss doses, the pill becomes less effective. Andrew Weinstein, President of the Los Angeles-based AIDS Healthcare Foundation, is against PrEP use, especially by young people. "Young people have unstable lives. They're sleeping on someone's couch. They're out for the weekend," he says. "That's not to stigmatize them, it's just the nature of youth. It's a carefree time. Expecting people to take a pill every day is not realistic," says Weinstein. It's enticing to imagine a magic pill that could bring about the end of AIDS. But a recent study of young adults taking PrEP shows that they take it, at best, 60 percent of the time.